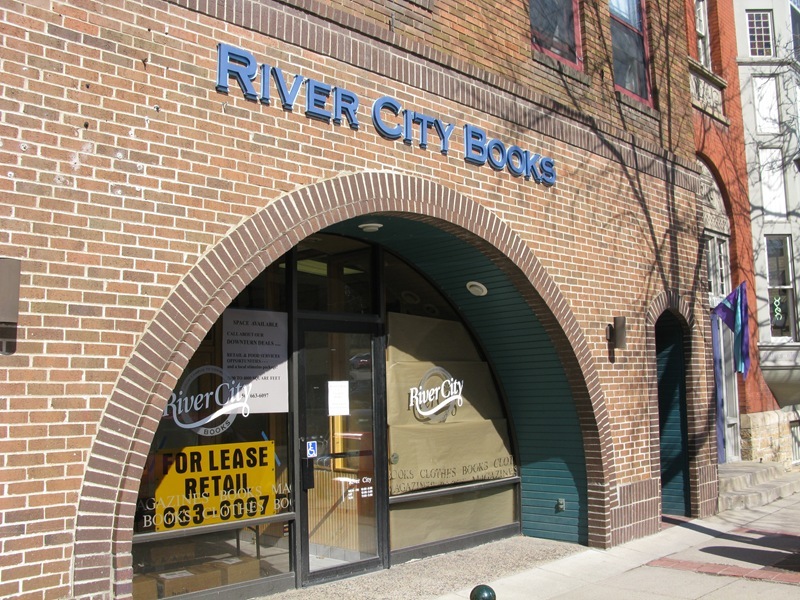 As previously announced in Jan., River City Books closed on Sunday. 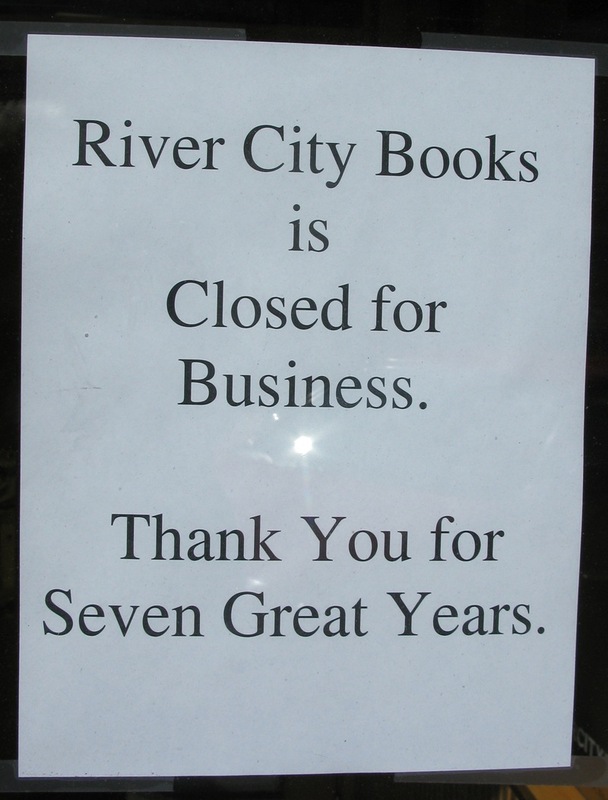 “Thank you for seven great years” says the sign on their door. 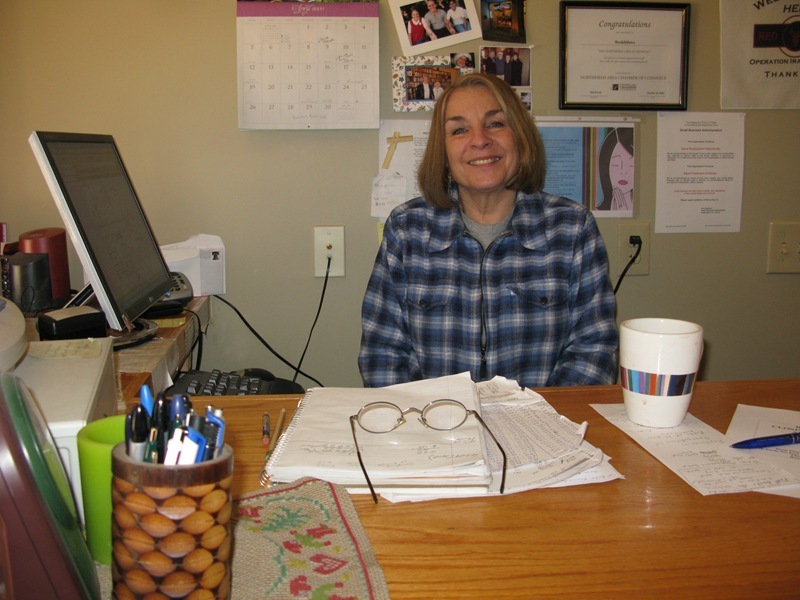 Store manager Jon Lee blogged the death of the Raven last week and then blogged a photo of the last customer. 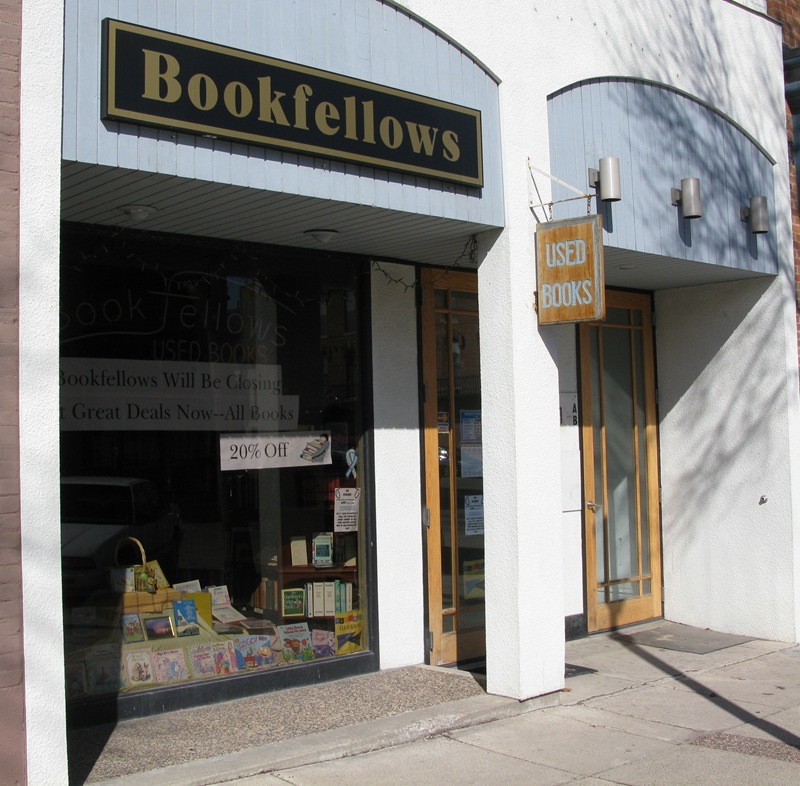 On Thursday, owner Patty Austvold put up a banner in the window of Bookfellows at 5th and Division that it’s closing at the end of May. It’s 20% off most everything in the store now. 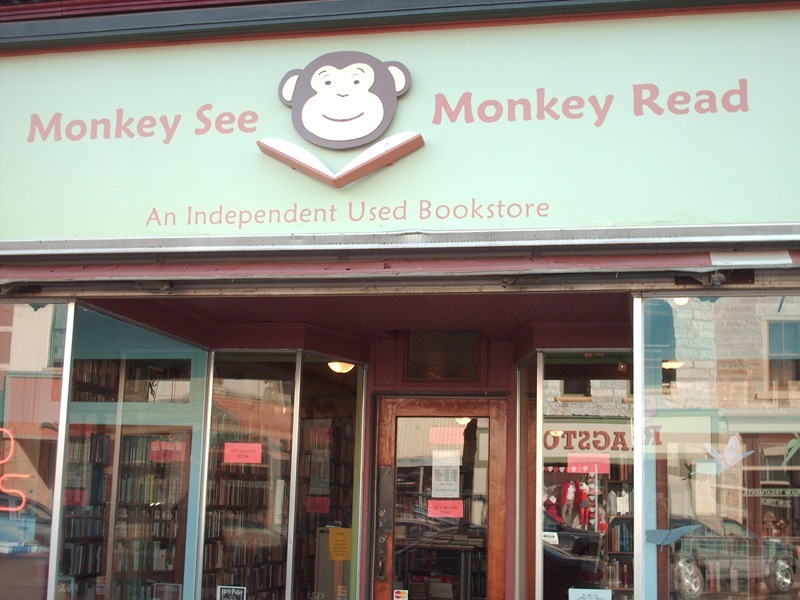 I stopped in to visit with Jerry Bilek, owner of Monkey See Monkey Read. 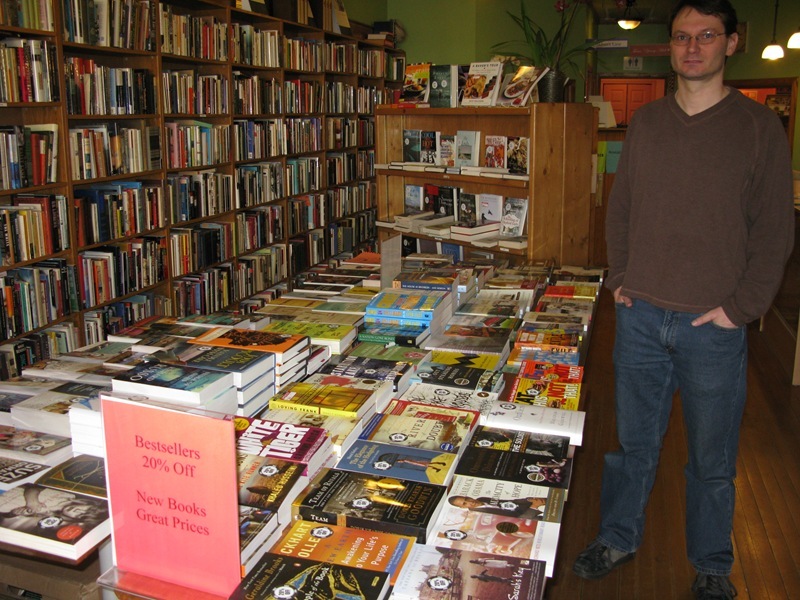 He’s already expanded his new book section with a much larger table. 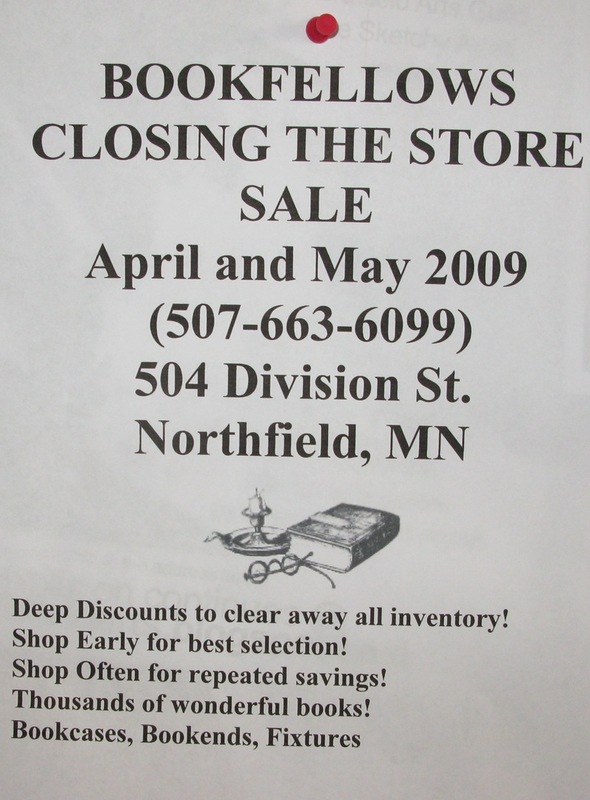 He blogged about the store’s new look last week with several photos.